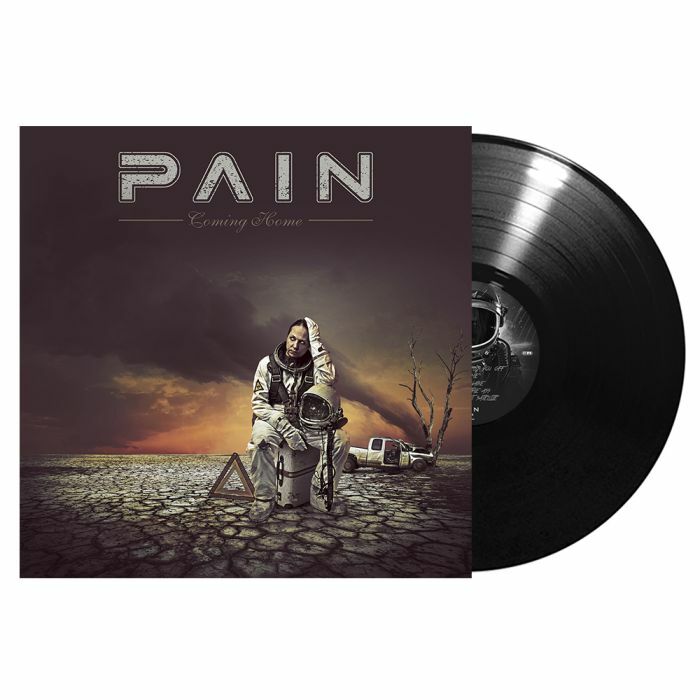 PAIN - COMING HOME VINYL (LP BLACK) | Online Shop | Wizard LTD. Album: "COMING HOME VINYL (LP BLACK)"
“That&apos;s me, designed to piss you offˮ - when Peter Tägtgren is ascending from the depths of his legendary Abyss Studio to take the microphone, a little musical revolution is inevitable. Because what else would you expect from HYPOCRISY&apos;s death metal veteran, who not only plays industrial metal with PAIN, but is considered to be one of the most influential producers in the metal scene (DIMMU BORGIR, CHILDREN OF BODOM, SABATON etc. ), and just recently launched his controversial project LINDEMANN in partnership with RAMMSTEIN&apos;s frontman Till. Therefore, it is no wonder, that PAIN deliver a revolutionary mix of styles on this new release - bizarre alternative metal meets electronic melodies - and, in addition, the band weave some spectacular orchestral arrangements into the tracks on »Coming Home«, without risking any cheesy moments or overloading the songs. The result are ten highly addictive metal hymns with massive depth and experimentation. Especially with the orchestrated parts, PAIN entered a new era and seeked assistance from CARACH ANGREN&apos;s Clemens “Ardekˮ Wijers, who added some magical final touches to Peter&apos;s bombastic songwriting. But PAIN also allow the album to breathe with beautiful acoustic guitar intros appearing hand in hand with stormy moments, showing the band at the zenith of their creativity. So take a deep breath, before you jump into this sea of industrial metal, thunderous orchestra arrangements and thrilling conspiracy theories - and Swedes, who are just designed to piss you off, in their most elegant way.